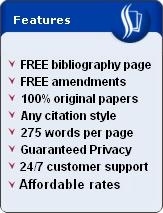 How to quote in an essay? Quoting passages in books, essays, research papers and other articles depends on two things: (1) the appropriateness of the passage you want to quote and (2) the idea of your paragraph where you want to include the quotation. There are also at least two basic rules that you should follow when you are putting sentences directly from your source such as a book to your essay, for example. One, you should put the proper citation at the end of the direct quote. Two, you should always insert quotation marks at the beginning and at the end of your quote to indicate that the sentence in your paragraph is borrowed from another source. Secondhand smoke is one of the primary causes of lung-related ailments including asthma. A scholar writes that "secondhand smoke may even be more dangerous than firsthand smoke" (Walberg, 2007). Miller (2003) wrote that "secondhand smoke is one of the primary culprits of lung cancer" (p. 84). If he is right, it is therefore safe to assume that smokers should refrain from smoking in public places in order to save others from the dangers of lung-related ailments. It is important to note that your citation for your direct quotes should follow the citation format required by your instructor. The examples given follow the APA 5th format. It is also important that you should carefully select the quotes you want to incorporate into your essay, making sure that each direct quote is highly relevant to your paragraph's main idea. Otherwise, your quoted line will make your argument or research weak. As a general rule, note that quoted sentences or phrases that are more than four sentences should be inserted in your paper as a block text rather than as a part of the paragraph you are writing. Also, be sure if your instructor has imposed a limit on the length of direct quotations that you can use. You should also provide a list of references or a works cited page at the end of your article which should include the sources where you borrowed the quotes. Is the quote relevant to the paragraph I am writing? Does the quote support or weaken the ideas in my paragraph? Is the source material credible? Are there better quotes in other articles that I can borrow? 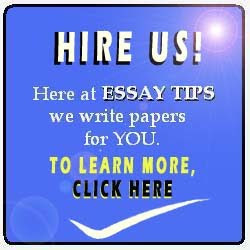 You may also want to read how to quote in an essay, or how to quote in APA, or how to quote in MLA.